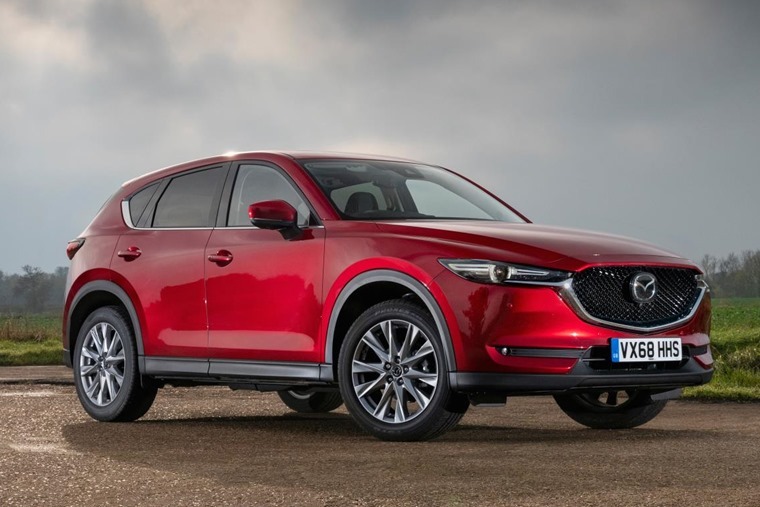 Mazda is welcoming the New Year with the announcement that the revised CX-5 is now available to order. The line up also sees the introduction of a new GT Sport Nav+ model grade. 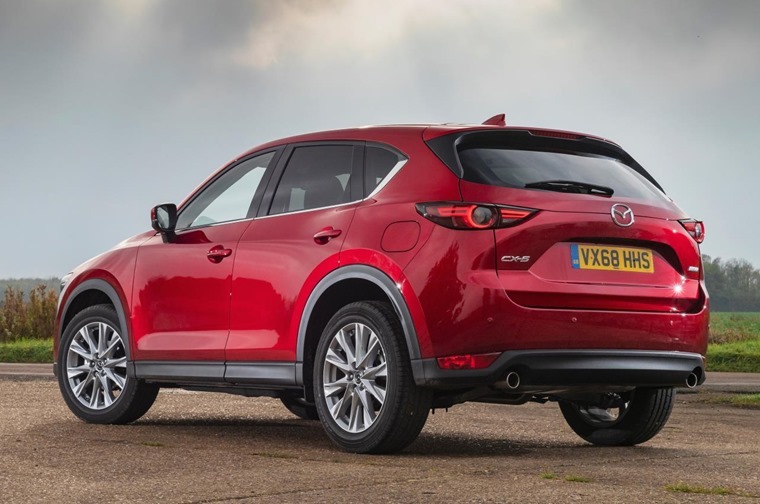 The CX-5 is currently Mazda’s biggest selling model in the UK and subtle revisions across the range are designed to ensure this popular SUV continues to offer class-leading levels of driver appeal, quality, equipment and style. 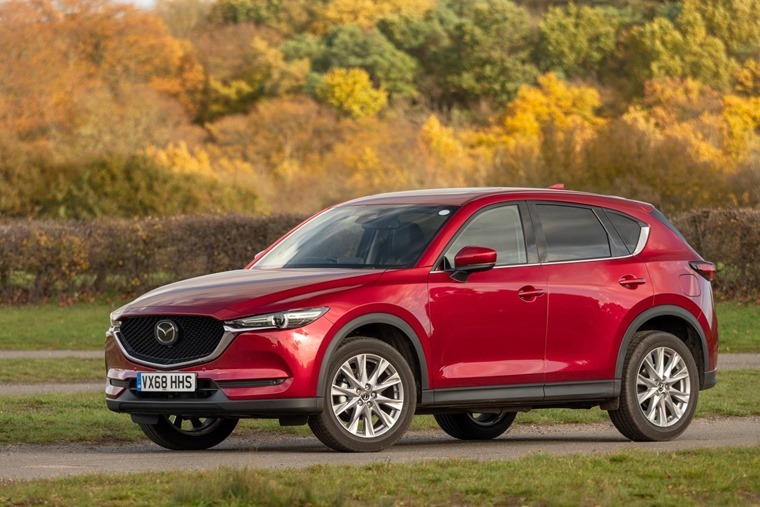 Launched in June 2017, the current CX-5 was updated in the summer of 2018 and as you’d expect for a car that is less than six-months on from its last update the CX-5’s bold and elegant styling remains unaltered. 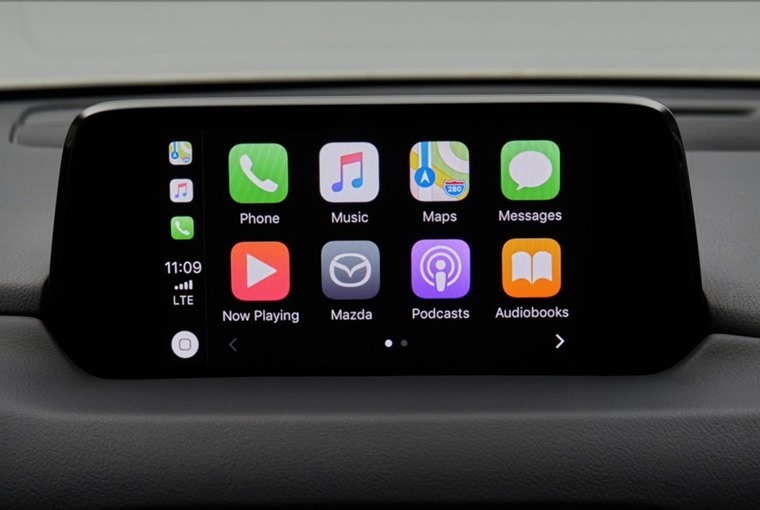 Featuring an unchanged range of Skyactiv engines, and building on last year’s updates, the 2019 Mazda CX-5 now features Apple CarPlay and Android Auto as standard across the range. 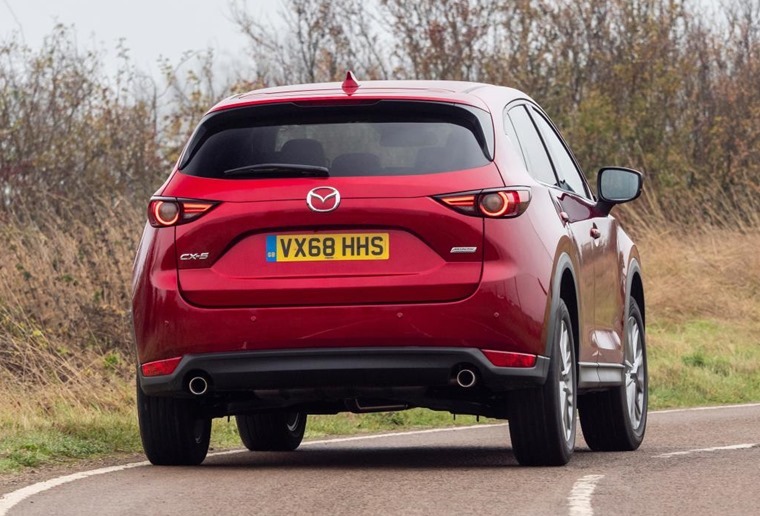 Always an SUV praised for its dynamic ability, Mazda’s unremitting commitment to driver engagement has seen subtle tweaks to the CX-5’s suspension set-up to further refine its agile handling and comfortable ride quality. A thicker front anti-roll bar, smaller rear anti-roll bar and revised front stabiliser bushings combine with new material in the rear damper top mounts and amended damping valve structures to deliver the improvements. Available with a choice of front-wheel drive 162hp petrol and 181hp all-wheel drive diesel drivetrains, the new range-topping GT Sport Nav+ brings the same level of interior luxury and equipment found in the Mazda6 GT Sport Nav+. Marked out externally by 19-inch bright alloy wheels, it’s inside that the new flagship CX-5 really stands apart. Real wood and satin chrome on the dashboard and door trim inlays are matched to standard Nappa leather and black roof lining to deliver the most luxurious Mazda SUV cabin yet, while white LED illumination and a frameless rear view mirror are further examples of high end features in the cabin. Also unique to this new flagship trim is a 7-inch colour TFT dial display and an exclusive steering wheel design with a chrome centre bezel and high-grade stitching as well as front seat ventilation, heated outer rear seats and sunroof. The GT Sport Nav+’s standard Safety Pack also includes Adaptive LED Headlights, Driver Attention Alert, Rear Smart City Brake Support and 360* View Monitor. 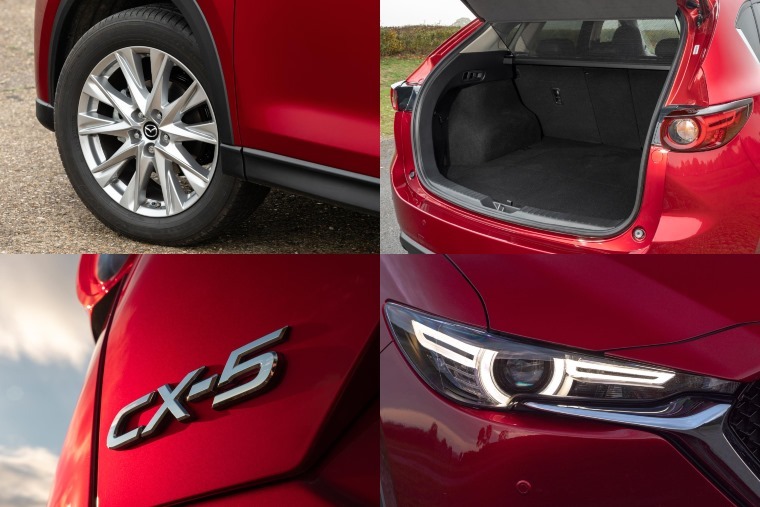 All 2019 Mazda CX-5s feature a generous standard equipment tally that includes LED headlights, auto power-folding door mirrors, dual-zone climate control. Highlights on Sport Nav+ cars include a reversing camera, 8-way power adjustable driver’s seat, Smart keyless entry, heated front seats and steering wheel, plus a power lift tailgate and a windscreen projecting head up display that features Traffic Sign Recognition. Standard safety equipment across the range includes Mazda Radar Cruise Control, Advanced Blind Spot Monitoring with Rear Cross Traffic alert, Smart Brake Support, High Beam Control and Lane Keep Assist. Available to order now, deliveries of the 2019 Mazda CX-5 will begin in February.